I’m designing blogger templates from past 2 years and whenever I design a blogger template I submit it to some directories to promote my templates. So that my templates can be downloaded by maximum number of users. Like WordPress themes, blogger templates have very few directories. Few days back I have launched my own site where users can submit free blogger templates. Today I’m going to share some more sources to submit blogger templates. Here are 25+ Websites To Submit Blogger Templates. Thanks! for listed my blog! Hey thanks for the share, I hope the PR of these websites are good enough so that i van get quality links too. Though i know some of them but some are there which m un aware ff.. The most best articles so far for me and help solve the problem. thank you .. Yes wonderful themes. Thanks for sharing. wow …. Your info really helped me and maybe other friends, I have bookmark your website and I always come here. to the event admin for the latest info. Thank you for sharing valuable knowledge. thanks I appreciate it. You mentioned that you have launched a website..>What is that website name? 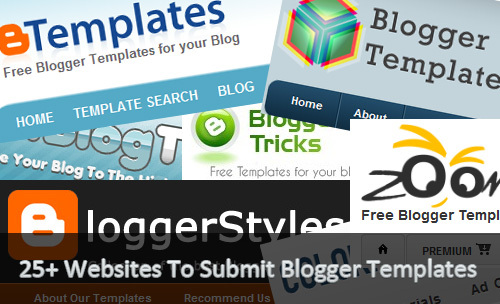 here u can submit your blogger templates.